Ryan Porteous has described League Two as the school of hard knocks, the place he was taught some of the dirtier tricks of the trade. On loan at Edinburgh City, he found himself being punched and kicked by streetwise strikers determined to do all they could to upset and rile the 17-year-old defender. A year older and wiser, the Hibs youngster looks back on that season with a smile on his face as he recalls just what opposition players would get up to. But the one thing he never mentions was the ear-bashing he got from team-mate Joe Mbu, the man-mountain alongside him as Gary Jardine’s side fought to avoid dropping straight back into the Lowland League. 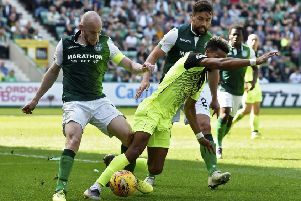 It may have been a harsh introduction, but one which Porteous, now back at Easter Road and battling to force his way into Neil Lennon’s team on a regular basis in the face of competition from the likes of Efe Ambrose, Paul Hanlon and Darren McGregor, appears to have taken to heart. Now retired from football, 35-year-old Mbu takes a keen interest in his one-time partner’s progress, admitting the smile on his face was probably as broad as that worn by Porteous after the youngster had turned in a man-of-the-match performance as Hibs defeated Rangers at Ibrox for the second time this season. “Ryan was a bit quiet when he first came in,” Mbu remembered. “I told him I wanted him to be screaming at me in the same way I’d be screaming at him, that it was nothing personal but what we needed to do to make the partnership work, to be where you should be. 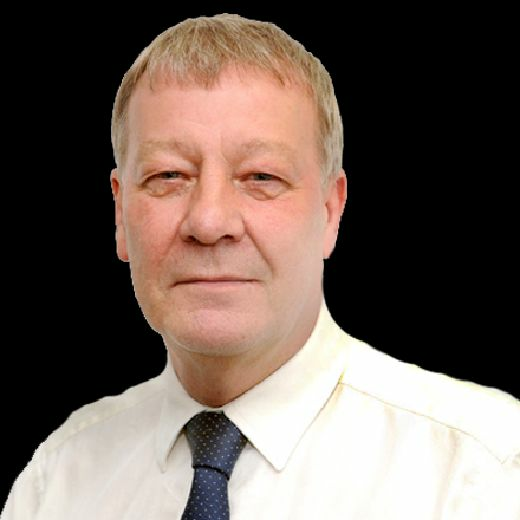 While many might have raised an eyebrow when told that someone so young was being pitched into a side which had found initially found life in League Two more than a little testing, Mbu insisted he had faith in Jardine’s decision, the City boss having seen Porteous in action for Hibs’ under-20 team. He said: “When the manager mentioned he was bringing him in he told us Ryan had all the tools in the locker to play at the highest level, that he really liked him. As far as I am concerned if you are good enough you are old enough. Ryan was like a breath of fresh air. He’s whole-hearted, he showed he can handle himself – he loves a tackle – and that he’s desperate to make sure no-one gets the better of him. “He doesn’t get intimidated, he doesn’t want anyone to stop him having a good performance. He took it all in his stride and went from strength to strength. You could see Ryan’s potential, the hunger, the fact that he wants it. He’s a big lad for his age and he took it all in his stride which was great to see. The belief Jardine displayed in Porteous as City ensured their survival in League Two was mirrored when, with McGregor and Hanlon sidelined through injury, Lennon pitched him into the heart of a makeshift back three for his first Premiership start against Rangers. The question “Ryan who?” everyone was asking before kick-off was answered in style by the youngster although, like Lennon, Mbu was adamant he had no worries about how he’d cope with the white-hot cauldron of Ibrox. Porteous has been forced to be patient this season, limited to a few appearances in the Betfred Cup and brief spells of action as he’s stepped from the bench, Mbu admitting he was a little surprised he hadn’t been put out on loan again, possibly to a Championship club. He said: “I think Ryan is capable of playing week in, week out and when you are young that’s what you want to be doing. He’s had to be patient and has been unfortunate in a way in that he has some incredibly good players ahead of him at Hibs and it might be a bit harder for him when they come back from injury.